Apple appears to still be in the market to revamp iOS Maps and get away from Google’s back-end. With the recent purchase of 3D Mapping company C3 Technologies, they may just do that! Currently, iOS uses an Apple-built Google Maps application. What that means is; Apple does not own the data used by the application, but instead has created a shell that houses Google’s product. Without their own home-grown map application Apple is limited by the service that they can provide to their end users. This creates a dependency on Google by Apple, and with Google being a direct competitor with the Android operating system, it seems that maybe the time is coming for that dependency to be cut. With the purchase of C3 Technologies, Apple now has three companies under their name working on creating a new Maps application that will be solely their own. As you may remember Apple purchased Placebase in 2009 and last year they purchased Poly9. 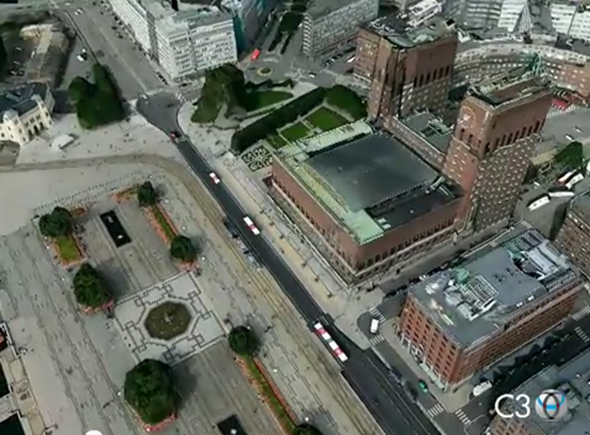 Poly9 is also a 3D mapping company, and shows that Apple is more than serious about creating this new feature. C3 Technologies uses a declassified government missile guidance method to render detail of buildings, trees, and even smaller objects, which in turn could be used to compete with Google’s Street View. As I stated before, this creates an advantage for Apple to sever the proverbial umbilical cord and continue being the independent giant that they are. I know that before I decided to switch to an iPhone 4, I used Google’s navigation within Maps to get directions anywhere within my car. I have always been impressed by Google’s Maps application and I really look forward to seeing what Apple is going to bring to the table. We saw recently saw that Nokia has brought their maps HTML5 application to other devices via the web browser, which was another move to bring an improved mapping experience to tons of users out there. I believe that we won’t see the new iOS Maps until the next generation of iOS at least, so I wouldn’t hold down my breath just yet. We will do our best to keep you all updated as we get more info regarding this. This may be enough of a reason for Apple to opt for a larger screen in their next generation iPhone so that the maps are better readable while driving.